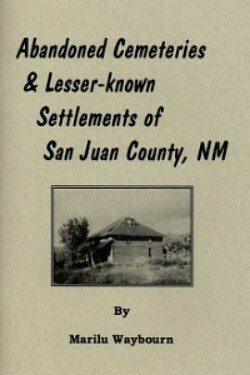 Abandon settlements and cemeteries scattered around San Juan County tell a story about past residents and our communities. Where are they now? Where did they go? 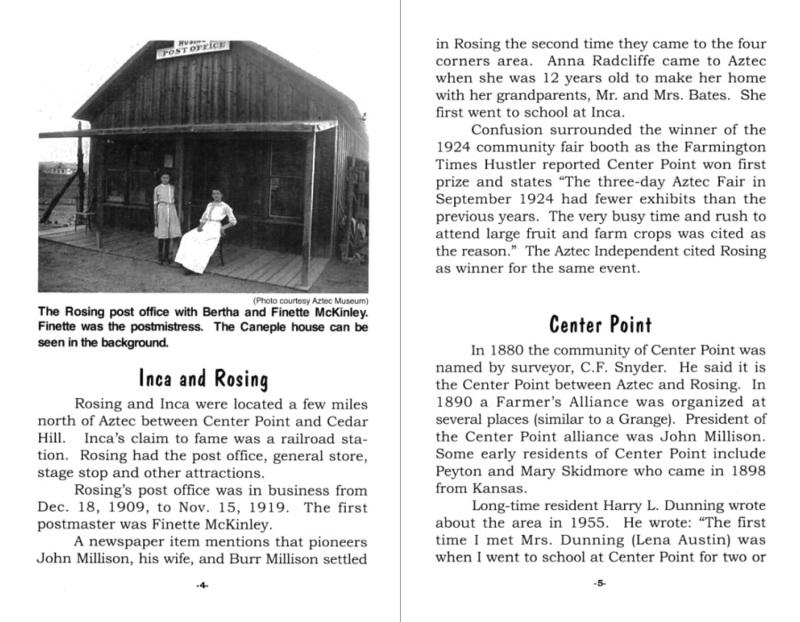 Many small communities dotted both sides of rivers and canyons in the Four Corners area early in the 1900s. Some of the now extinct communities between Shiprock and Durango include Liberty, Jewett, Kentucky Mesa, Olio, West Water, Coal Camp, Junction City, Hood, Santa Lulu, Wallace, Rosing and Inca. From the confluence of the La Plata River north toward Hesperus we no longer find Jackson, Green Horn or Pendleton. 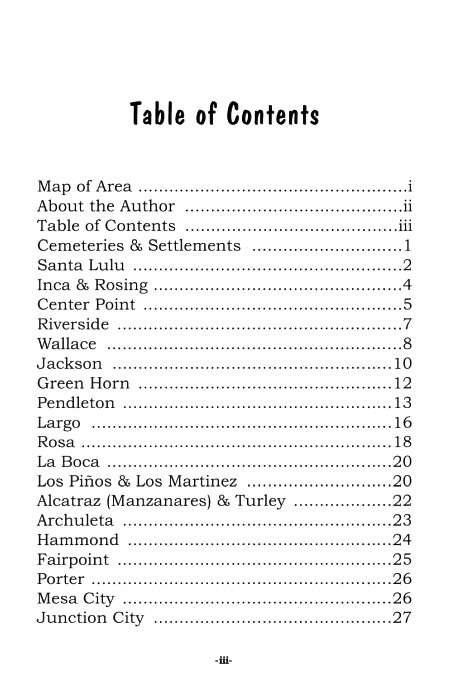 Other community names sprinkled around the valley were Largo, Hammond, Alcatraz, Porter, Fairpoint, La Boca and Rosa. The location of these sites is found in historical records and on old maps (San Juan Historical Society) These yesteryear communities tell a story about the people and cast light on the past of the area. Copies of this book can be purchased at the Aztec Visitor Center. Speed of transportation from horses to automobiles is probably the key to the expiration of most of the communities; others were not really abandoned, but absorbed by the larger communities. There are remains of some of these communities - an old foundation here, a crumbling barn there, and whole buildings with folks still in residence in other places. As you drive up and down the canyons and river valleys, slow down a little and keep a sharp eye out. You may just spot a bit of history by the roadside!